Major Oak Polishing have many years of experience in both commercial and domestic French Polishing. Based in Nottinghamshire, in the heart of the UK, we offer worldwide coverage and are happy to work on projects of all sizes. We believe in providing the highest levels of service at a fair price and will provide a free assessment and quote with no obligation on your polishing requirements. French Polishing is a method of wood finishing which provides a high gloss surface of deep, rich colour. The process is lengthy and repetitive, if performed correctly, and involves applying numerous thin coats of Shellac, a hard wearing resin. The Shellac is dissolved in alcohol and applied using a cotton or wool pad lubricated with oil. French polishing first became widely used in the 18th century and was very popular in the Victorian era for finishing expensive woods such as Mahogany. Fine furniture and musical instruments such as pianos were often finished by a French Polisher. French polish is a liquid mixture of Shellac resin diluted in alcohol. It is applied using either a polish mop or by a pad made up of wadding wrapped in cotton or wool (Called a Fad). The French polisher applies the first coats in the same direction as the wood grain using a polish mop. The surface is then sanded using a fine abrasive paper. A polish rubber is then used to apply further coats of Shellac. These layers are also applied in the direction of the grain by means of figures of eight movements. To begin with, only very light pressure is used but this increases as the rubber lays down more Shellac to the surface being treated. As each new layer of Shellac is applied to the hardened layer below the topmost part of that hard layer is melted by the alcohol solvent. This allows the new layer to bonds itself to the previous layer creating a durable finish. Once complete the finished surface should have layer upon layer of shellac providing a beautiful perfectly flat film. What Wood Requires French Polish? Not all woods benefit from French Polishing and the focus for this type of finish is the darker woods with fine grain. Walnut, Mahogany and Rosewood respond best to French polish. For Pine and Teak, we advise using waxes and oils and we can happily provide further information and quotes for projects involving these types of wood. For French Polishing or treatment of any surface, including glass, metal or plastic, contact us today for a no-obligation quote. Here at Major Oak Polishing, you will find a team of experts that will provide the highest level of service on all your French Polishing projects. With many years of experience, you can be assured of the best quality service and finishes at a competitive rate. No job is too small or too large; we cover them all from commercial to domestic. We operate our services worldwide and are happy to provide a no-obligation quote. French Polishing is a process that leaves wood with a high gloss finish that is deep and rich in colour. It is an intricate process that requires several thin coats of Shellac, a hard wearing resin, to be applied. Our specialists will take their time to ensure the best finish possible. French polishing has been widely used since the 18th century. The Victorians helped make it very popular for finishing their expensive woods such as Mahogany. It is a process that can be used to finish floors, musical instruments, fine furniture and other artefacts made of wood. By using this technique, we can easily restore wooden surfaces removing scratches, watermarks, dents and gouges. 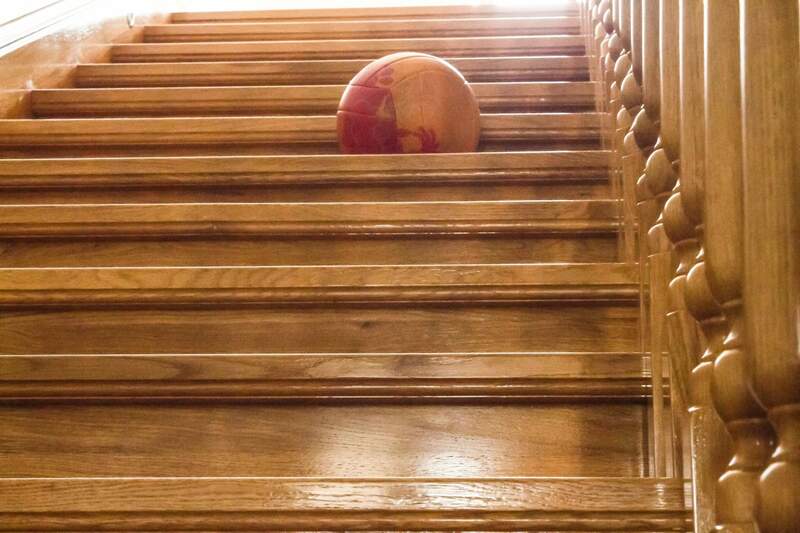 If you wish to see your beautiful wood restored to its former glory and enjoy the splendour of the wood itself, French Polishing is the best way to achieve this. Is French Polishing Suitable for All Types of Wood? Although French Polish is available in different shades, we would recommend that you only use the technique on darker woods which have a fine grain. Woods that respond the best to French Polishing are Walnut, Mahogany and Rosewood. One of our specialist team will be able to advise you on the best treatment for your project. We would advise using a wax and oils for woods such as Pine and Teak. Our expert team will also be able to assist with this and will be happy to advise you and provide a quote for this service. French Polish is a liquid mixture of Shellac resin that is diluted in alcohol. We apply using either a polish mop or a pad that is made up of wadding wrapped in cotton or wool. This is called a Fad. Your specialist French Polisher will apply the first coats in the same direction as the wood grain using a polish mop. We then sand the surface using a fine abrasive paper. Using very light pressure, the polish rubber is used to apply further coats of Shellac. These layers are applied in the direction of the grain using figure of eight movements. Each layer will be applied with slightly more pressure that our experts will deliver with precision. Each new layer of Shellac is applied to the hardened layer below. The topmost part of that layer is first melted by an alcohol solvent to allow the new layer to bond itself to the one below This helps create the long-lasting and durable finish associated with French Polish. The final result will be layer upon layer of shellac that provides a beautiful perfectly flat film. Thus creating that high shine, flawless finish that our professional team create so well. Modern lacquers and varnishes will not provide you with the same high quality, high shine finish of French Polish. French Polish creates a perfectly smooth finish that removes imperfections from your wood. Although it is a more delicate process than modern techniques, it is much easier to repair any subsequent damage. There is very little dust created from the process of French Polishing making the process is easy to carry out in your home. As Shellac is also a non-toxic naturally occurring resin, which is also environmentally friendly, it won’t leave you with nasty overpowering fumes. French Polishing is a technique that has been used since the 15th century but became more popular in the 18th century. It is created by using shellac and alcohol. Shellac is a natural substance that comes from a resin secreted by the Lac beetle to form its cocoon. The resin is dried and made into a solution in alcohol to create shellac. Shellac is used for its appearance as well as the protection it offers the wood. It creates a beautifully rich colour and sheen while enhancing the natural grain of the wood. It can also be used to hide blemishes and repairs to damages. Shellac may not be as durable as some modern lacquered finishes, but it is far easier to repair and restore. Our professional team of experts will carefully prepare your project and take time to ensure that each layer of shellac is applied with precision and care. It is an intricate process that is worth getting right to achieve the high sheen, rich, deep colour that French Polishing will provide. French Polishing will offer the next level of finish to your wood that varnish and polishes can’t hope to achieve. It enhances the timber by absorbing into the wood and letting its natural beauty shine through. We tailor our process to suit the wood we are working with. The wood that suits French Polishing are usually the darker fine grain woods such as Walnut, Mahogany and Rosewood. These types of wood will take to the process far better than some of the more coarse-grained woods such as Oak or Pine, which would benefit from other techniques such as oil or wax finishes. Mahogany is possibly the favourite of the expert French Polisher. The finish gives a deep and rich looking piece that is smooth and has a high sheen, as do all our finished projects. Many of your wooden surfaces can benefit from French Polishing. Musical Instruments such as pianos look stunning when they have been treated. Giving them a classic and expensive look. Flooring that has been French Polished creates a classy and rich warm feel to any room. Likewise, staircases that have their natural wood exposed will look elegant while also benefiting from the longevity provided by the treatment. 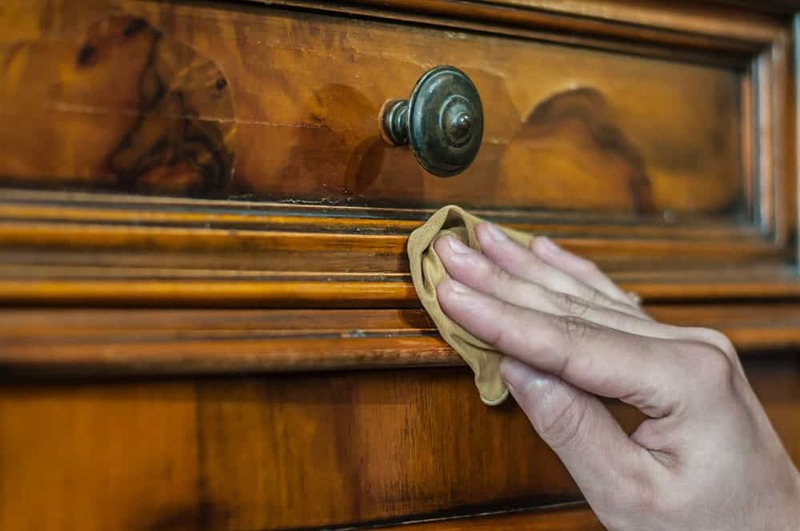 If you have period furniture that you wish to restore to its former glory, French Polishing will provide you with a beautiful piece of functional art. French polishing provides a high-end finish to your home or commercial environment. The quality our experts provide will certainly make your project stand out from the ordinary. If you want to reveal the beauty of the natural wood and enhance the way it looks rather than hide it behind paint, French Polishing is what we would recommend. You will be delighted with the smooth, high sheen, high quality and deeply coloured finish. You can even change the colour of the wood with a few simple adjustments to the colour of the shellac. Not only is French Polishing a way to give your wood longevity, but it is also easy to maintain and repair. We can offer touch-ups to any scratches restoring the high quality finish far easier than other lower quality finishes. One of our specialist team will be happy to discuss your needs for your project and provide a no-obligation quote. So if you want a classy, high-end finish that brings out the beauty within the wood, speak to one of our experts for advice.